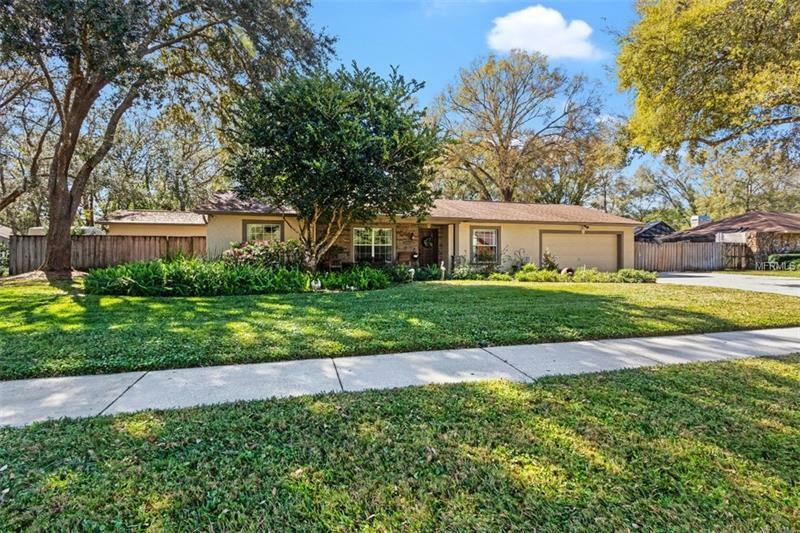 *Home Warranty Provided** Fall in Love w/this amazing 3 Bedroom 2 Bath (den) pool home on a gorgeous fenced ½ Acre lot in Lutz. Fabulous neighborhood w/mostly custom homes is conveniently located close to I-275, USF, & top schools. This Open Floor Plan with its elegant foyer flows past the formal Living Room and Formal Dining Room (either room could be used as Den/Office) into the spacious Kitchen w/custom wood cabinets, granite countertops and backsplash, stainless appliances all overlooking the Fantastic Family Room with Brick Wood Burning Fireplace. This amazing split floor plan offers a Master Suite with a remodeled Master Bath in 2017 and a secondary bedroom large enough to be a second master with a walk in closet and built in desk with shelves. Entertaining is a must! Family Room flows through sliding glass doors to an incredible 15 x 30 covered lanai with tongue and grove cedar ceiling and a 16 x 32 caged pool with up to 5 to 8’ of decking around the pool. PLUS a fantastic backyard w/additional concrete for riding bikes and playing basketball. Updates inc: Hardwood floors in foyer, LR, DR, FR, NEW carpet in the bedrooms Jan 2019, Extra Wide Driveway, New garage door opener 9/2018, guest bath remodel 2004, master bath remodeled 11/17, Front Exterior added new stack stone along with house painted 12/2010, Kitchen remodeled 2004, New built in microwave oven 1/2019, Pool pump 10/2017, Navigator pool cleaner 6/18. New roof 2004, front six windows replaced 2004. This is absolutely a MUST See!! !